H2O Designs doesn’t just design, develop and build stunning water features, we also understand the importance of providing a full maintenance service to ensure they look and operate as breath-taking as the day they were installed. Regular cleaning and maintenance of the components is integral to the correct function of the water feature and maintaining clear and safe flowing water for your environment. Each service is carried out by our experienced and highly trained maintenance technicians to ensure the products are working to meet our high standards. Here are some projects which we have been maintaining for many years. 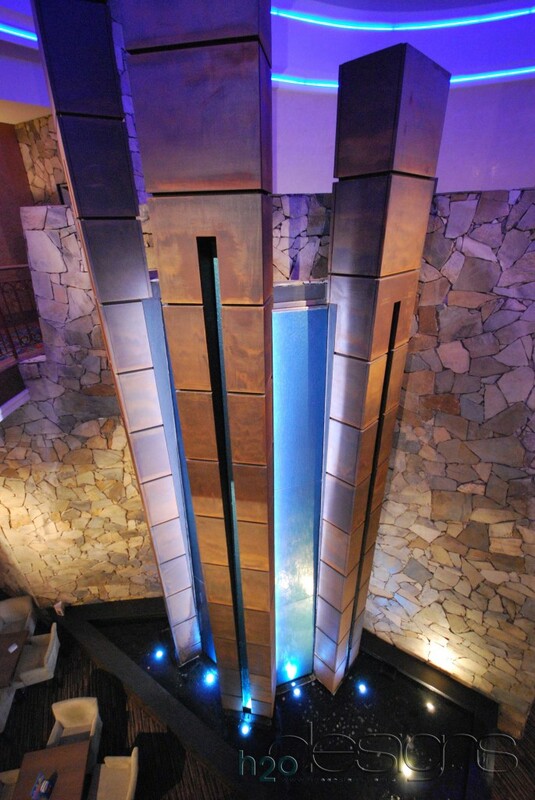 H2O Designs originally manufactured and installed this monumental water feature at the Ryde Eastwood Leagues Club in 2008. After 5 years of maintenance, it looks as impressive as the day it was installed. 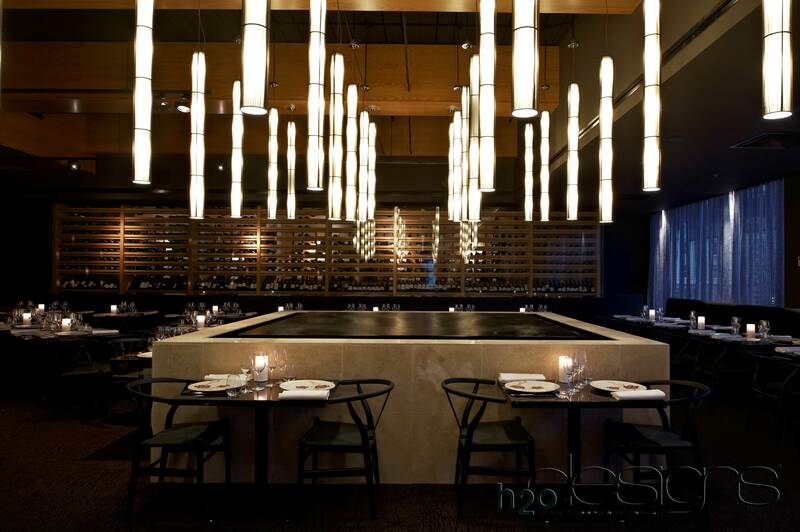 This stunning water feature at Red Spice Road QV Melbourne (previously Duck Duck Goose) continues to bring a sense of harmony and elegance to patrons at the restaurant. The Rosary Home Aged Care project includes six water features, planter boxes, seating and landscaping, all maintained by H2O Designs to create both a functional and tranquil space for residents of the facility. Both residential projects at Docklands and South Melbourne take advantage of our full maintenance services including general maintenance of plants, planter boxes and vertical VWall planters, draining and cleaning all running components within the water feature, and cleaning the furniture and seating. 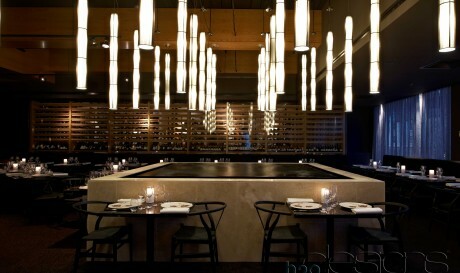 At H2O Designs we don’t just love ’em and leave ’em. It’s importance to us that your new H2O Designs water feature is properly maintained and performing at the high standards of our design. 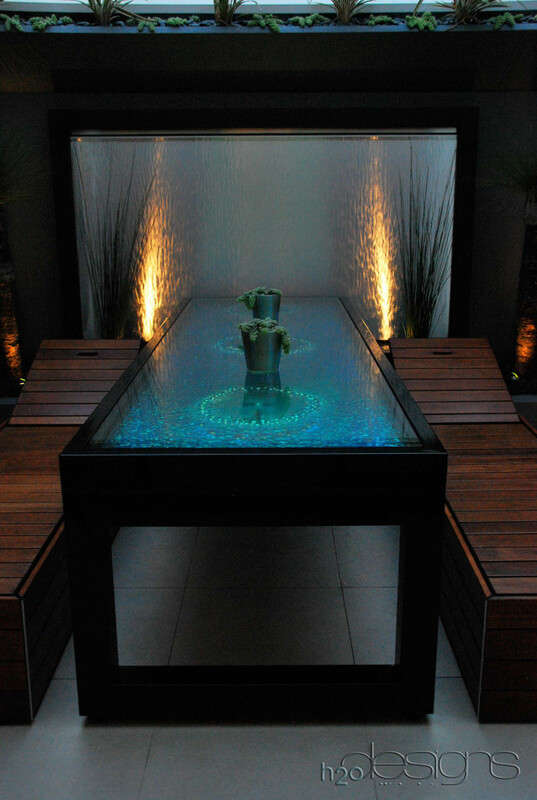 Contact us to find out how you can complete your space with a H2O Designs water feature.